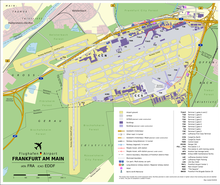 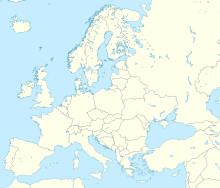 Frankfurt am Main Airport (IATA: FRA, ICAO: EDDF) (German: Flughafen Frankfurt am Main [ˈfluːkhaːfn̩ ˌfʁaŋkfʊɐ̯t ʔam ��maɪn], also known as Rhein-Main-Flughafen) is a major international airport located in Frankfurt, the fifth-largest city of Germany and one of the world's leading financial centres. 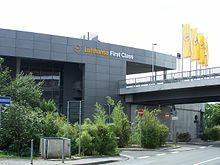 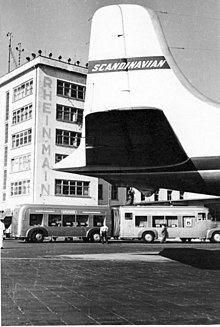 It is operated by Fraport and serves as the main hub for Lufthansa including Lufthansa CityLine and Lufthansa Cargo as well as Condor and AeroLogic. 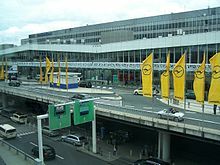 The airport covers an area of 2,300 hectares (5,683 acres) of land and features two passenger terminals with a capacity of approximately 65 million passengers per year, four runways and extensive logistics and maintenance facilities.